One manufacturer that has made the most out of the smartphone market is Samsung. Samsung has through its technological brilliance brought phones to the market that is one step ahead of all its competitors. The pinnacle of its success has been its Galaxy series. The Galaxy Mega 6.3 is a part of this series and forms a brilliant phone/Phablet. Its competitors however have not been that far. Amongst its top competitors is Sony. Sony has rocked the smartphone market with the state of the art features, be it a brilliant camera or the dust and water resistant screen Sony has done all that needs to be done in order to make it the best name in smartphone market. 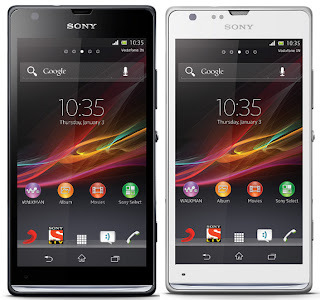 Leading the way for Sony in this market is its Xperia series. Another big name that has entered the race for the top spot in the smartphone market is Lenovo. Though it does not have a great number of releases behind it, but the value that the name ‘Lenovo’ carries is expected to work wonders for the manufacturer. Today we are comparing some of the best releases that these manufacturers have introduced the market to, the Lenovo K900, the Samsung Galaxy Mega 6.3 and the Sony Xperia SP. Incidentally we have written the name of the phones in the decreasing order of their price. 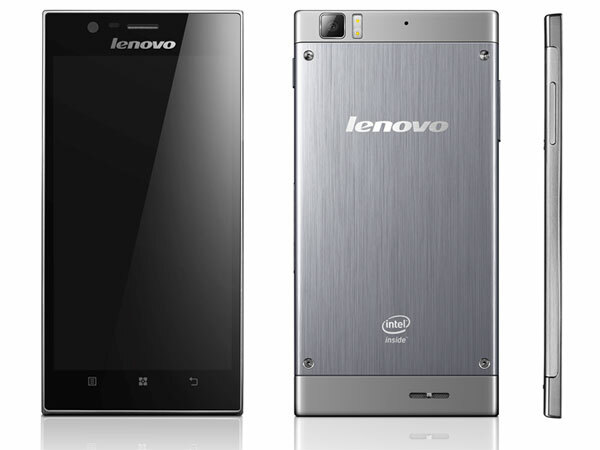 The Lenovo K900 is the most expensive costing around Rs. 38,000, the Samsung Galaxy Mega 6.3 costs around Rs. 28,000 and the cheapest among the three, the Sony Xperia SP costs around Rs. 22,000. So whatever comparison I make should be evaluated keeping in mind the price difference that exists between the phones. The Lenovo K900 has a 5.5 inch IPS LCD capacitive touchscreen which is protected by the Corning Gorilla Glass 2. The phone has a full HD display i.e. a resolution of 1080 x 1280. This is something both the other phones cannot boast of. The Galaxy Mega 6.3 has a 63. Inch SC-LCD capacitive touch screen while the Xperia SP has a 4.6 inch TFT capacitive touchscreen. Both the Mega 6.3 and the Xperia SP do not have a Full HD display but a close enough resolution of 720 x 1280 pixels. Thus the Mega 6.3 has the biggest display but the Lenovo K900 has the best quality display. The Lenovo K900 has 2 GHz Dual Core Intel Atom processor which is supported by 2 GB RAM and 16 GB of internal memory which can be expanded up to 32 GB through a micro-SD card. The Samsung Mega 6.3 on the other hand runs on a 1.7 GHz Dual Core Qualcomm Snapdragon 400, processor supported by 1.5 GB of RAM and 8 or 16 GB of internal memory which can be expanded up to 64 GB with the help of a memory card. The Sony Xperia SP has a 1.7 GHz Dual Core Qualcomm Snapdragon processor supported by 1 GB RAM and internal memory of 8 GB which is expandable up to 32 GB with the help of a memory card. The processor of the K900 therefore easily scores above the other phones, making the K900 a relatively faster device. Coming to the camera of these phones, the Lenovo K900 has a primary camera of 13 MP with the usual auto focus, LED flash, geo-tagging and face detection. The camera is capable of making HD video recordings as well. Lenovo K900 also sports a 2 MP front camera which is capable enough for a decent video chat experience. On the other hand both the Mega 6.3 and Xperia SP have an 8 MP primary camera having auto focus and LED flash and other similar features. The Mega 6.3 however has a 1.9 MP front camera while the Xperia SP has a VGA front camera. In this department too the Lenovo K900 has a clear edge over both the phones. The Samsung Galaxy Mega 6.3 and the Sony Xperia SP have connectivity to 2G, 3G and well as 4G networks. It is very surprising to list that the Lenovo K900 does not have 4G connectivity, which comes as a shock considering the price at which it is available. Apart from this all the three phones are Wi-Fi enabled and can connect through Bluetooth as well as USB. Another interesting thing is that while both Samsung Galaxy Mega 6.3 and Sony Xperia SP are NFC (Near Field Communications) enabled, the Lenovo K900 has no such feature. The Lenovo K900 and the Samsung Galaxy Mega 6.3 both have version 4.2 of the Android Jellybean Operating System (OS), while the Sony Xperia SP has the older 4.1 version of the same OS. The Lenovo K900 has a non-removable 2500 mAh Li-Ion battery. The Samsung Galaxy Mega 6.3 has a 3200 mAh Li-Ion battery which has a stand by time of up to 420 hours and talk time of up to 17 hours in 2G and 10 hours in 3G. The Sony Xperia SP has a 2370 mAh battery which offers a stand by time of up to 700 hours and a talk time of up to 10 hours 25 minutes in 2G and of up to 19 hours in 3G. All the three phones have the usual add on features such as music player, organizer, calendar, clock, image viewer, document viewer, SNS integration and pre-installed apps for Google, YouTube, Facebook, twitter and other networking sites. All these phones show the technological capabilities of their manufacturers. All the differences that are present in the phones are expected because they belong to the different price range and in their own price range there aren't many phones that can stand up to them let alone challenge them. Samsung and Sony are two big shots in the smartphones market while Lenovo though a big name is still on the first few steps of the ladder, however all these three phones will go a long way in establishing their respective Manufacturers. Let us also see that where so these manufactures go after giving such releases and what else do they have in store that would shake the market. The Guest Author of this post is Julia. She wrote several tech posts for 91mobiles.com. 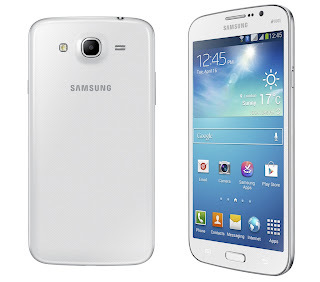 Also check out samsung galaxy mega 6.3 price in india here. Her passion for upgrading her knowledge puts her to research on topics relevant to her industry. Besides, she also likes to share her findings by writing about them in her free time.